One of the most common and significant health issues which are possessed by a huge percentage of the UK population includes oral health problems. However, technology has made great advancements over the years which not only benefit in preventing decay as well as sealing of cavities. Moreover, the recent topic of proactive research is stimulating medications that can work on cells growth for active tooth repair without using any unnatural material. If this idea could be turned into success, then Dentist ensures it would not only help in easy repair but complete regrowth of teeth. Talking about the current times, the dentist adopts the traditional approach of drilling the decayed portion and filling it with a substance which is similar to cement called amalgam. However, the latest research targets to derive the drugs that could act on the stem cells especially the blood cells and nerves. This will be of great help in filling the cavity through the growth of bone tissue. The researchers are also working on the experiments of a low-cost drug called Tideglusib which will help to prevent tooth decay. But until now, the research is only confined to the use of drugs on rats and its trial on humans would be seen during the year 2019. If it comes to be successful, it would be a much safer solution to consider replacing mercury in amalgam. Also, Dentist in Preston uses to perform Root canal treatment on patients who have deep cavities with infection. However, the capping and filling of amalgam to repair teeth could fail over the years due to bite stress. Therefore, researchers at the university in Buffalo are trying to use the low light laser to help in regrowth of the cells because they believe that our body has its own natural process of healing. The technology has also shown an important revelation but with many ethical and legal issues. Researchers have come with the idea of implanting tooth cells in the adults by harvesting from embryos to regrow the teeth from its primary stage just like in babies. However, it may need a lot of time and effort to prove the benefit of any of the above research and seeking the desired results. 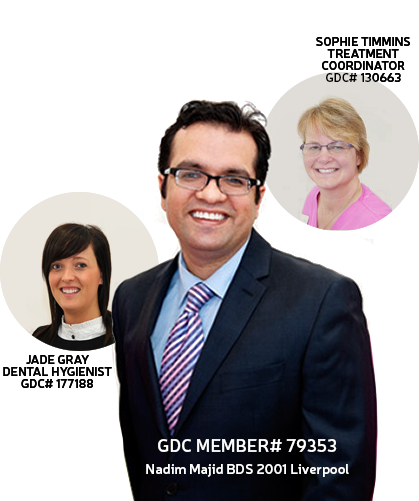 Looking for Cosmetic Dentist in Preston, give us a call for booking an appointment!